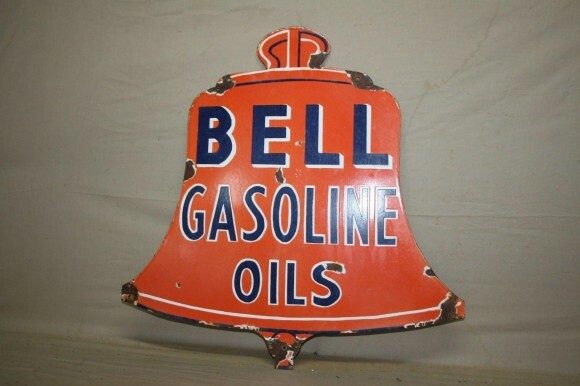 At only 24″ on each side, this is a nice looking Bell Gasoline Oils sign. The sign is normally a single sided porcelain, but it has been known to be found as a double sided porcelain sign. However, at this small size, that is uncommon. This die cut sign is orange with blue accents and has three mounting holes on the bottom edge and two mounting holes on the top side.